Select a car from our fleet for a drive through the city or explore the open road as you drive through the Mojave Desert for the Ultimate Outdoor Adventure. Cruise the Las Vegas Strip or go on an adventure as you explore the open road as you drive your high performance muscle car through Lake Mead National Park or The Valley of Fire. You can combine your car rental with our Shooting, ATV, and/or Grand Canyon Helicopter Adventures. 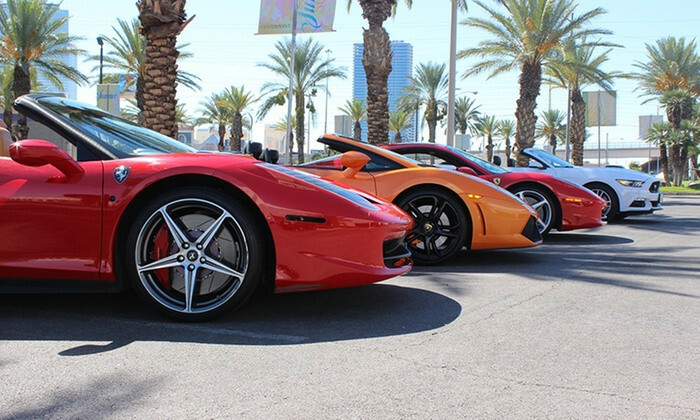 Drive yourself out to our facility as you cruise through the Mojave Desert in your super car for the Ultimate Outdoor Adventure.